Kiran Verma has successfully raised funds & reached the goal amount. We thank all the 45 generous supporters for their kindness. His blood was sold illegally, so he built an app to save 1 million lives through the platform. Now he needs YOUR HELP! Kiran Verma is the founder of Simply Blood - Virtual Blood Donation Platform. His mission is to save one million potential lives through blood donation using Simply Blood as platform by 2020. Feel free to ask Kiran Verma for a new update on this Fundraiser. We are proud to share that we have "earned" 12AA and 80G certificate from Income Tax department after an year long struggle. We know the value of your hard-earned money donated to us and thats why we were committed not to bribe a penny even if we fail to get it. We got rejected twice but finally our hardwork got attention of the Commissioner-Income Tax who not just released this to us in a day (it usually takes 4-6 months) but also appreciated our work. We would insist you to keep supporting us even more and we will keep evolving our solutions for the betterment of mankind. THIRUVANANTHAPURAM: With a message that can save thousands of lives, a 33-year-old man has travelled 6,000 km across the length of India. Kiran Verma kicked off his journey with an aim to spread awareness about the significance of blood donation and how it can help save lives. There is a poignant story behind his mission; his mother passed away after she was diagnosed with cancer. Her death led him to establish Simply Blood, an online platform for virtual blood donation and subsequently, undertake the arduous journey from Srinagar to Thiruvananthapuram to mobilise support for blood donation. Throughout his journey, Mr Verma has taken to social media to share stories of the people he has interacted with and share the updates of his journey. "So, from extreme North to West and from West to now the Southernmost point of India. I just wanted to share that I have travelled more than 6000 kms till now out of which, I walked more than 2600 kms on feet and more than 3400kms by different means of transport," he said in a tweet. Mr Verma has travelled to cities in states as varied as Rajasthan, Karnataka, Jammu and Kashmir and Kerala, to make people aware of the Simply Blood app, which allows people to find blood donors online. "I started my journey on January 26, 2018 from Lal Chowk, Srinagar and have travelled more than 6500 kms till Trivandrum in two months. I have met more than 600,000 people across the country. I have shared my vision with students in colleges, Universities and public places like malls, restaurants, railway stations, bus stands etc," Mr Verma said. 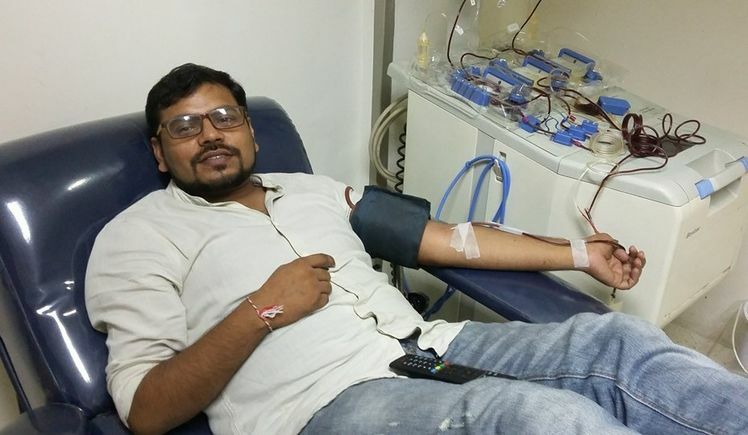 Mr Verma's journey started out small, but his mission, to convince 10 people every kilometre to donate blood, and thus, to save a million potential lives by 2020, seems to be a daunting task. National borders don't seem to be a hindrance for Mr Verma's mission, as he has travelled to Nepal and Bhutan as well. "Everyday more than 12,000 people die in India due to lack of blood. Our mission is to encourage at least 10 people every kilometre to take a pledge to donate blood once in their life," he said. December 2016, I got a random call saying that somebody needs blood in a govt hospital in Delhi. I went there and donated blood, after donating blood I got to meet the wife of the patient (who were from Raipur). I was SHOCKED to know that the blood I donated for free was sold to that lady for Rs. 1500. I was broken to know that the lady sold herself to get the treatment done for her husband. The same day, I left my job to pursue this full time and decided to make Blood Donation more transparent process in India. I started the initiative and named it "Simply Blood" with no scope to earn/make money (this was to stop me to get corrupt). 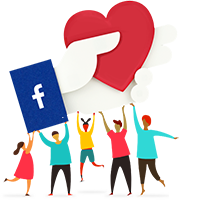 We launched our android app on 29 January 2017 with a humble aim to save 100 potential lives in 2017, but we crossed the numbers in just few days and till now in less than 4 months we have saved more than 700 potential lives at "NO COST" to receiver or blood donor. In March 2017, I went for a personal loan but was rejected as I was not working anywhere. I went to different political parties and many govt officials to help Simply Blood by providing government aid but I failed to raise even a small amount of Rs. 5 lakh. Finally I moved to crowd funding where I managed to raise less than Rs. 38,000, around 7% of what we actually needed to run the platform and develop the technology, we are working on for next year. Yesterday, I closed the campaign with a heavy heart and was ready to mortgage my few small assets to keep going with the platform. However, my post on Linkedin got attention of many people who not just motivated me but also forced me to make a second attempt to raise funds. 1. App Development (Android, iOS and Windows) - Rs. 1,50,000 (The app will be used across the world). We are taking help from our core team (they are our tech partners and also co-founder) to develop the platform further as we are not willing to take any third party in developing the platform due to some privacy restrictions. Kindly Note: No money out of the raised amount will be used on personal expenses or to make/earn any profit. Your message will be directly emailed to Kiran Verma and you will receive his/her response on the email address entered below.